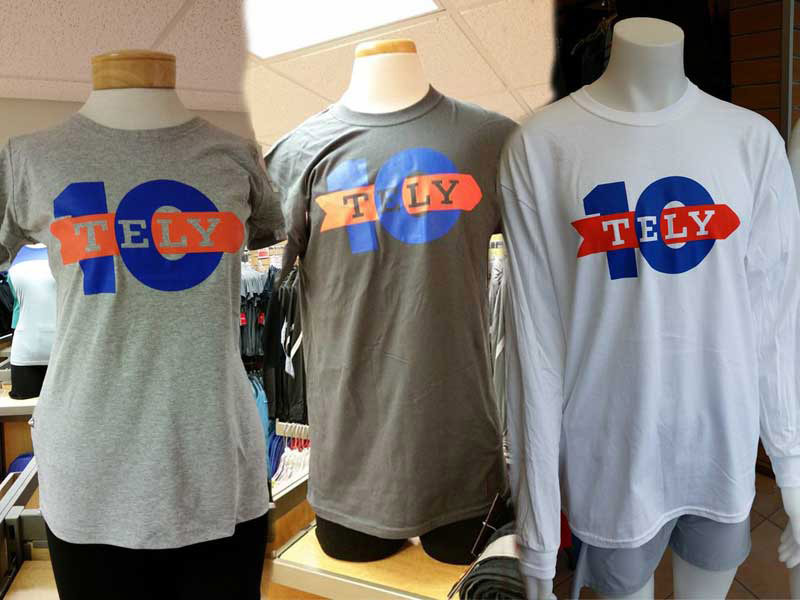 Catch the spirit of Tely 10 with your own limited edition Tely 10 T-shirt. Available exclusively through The Running Room, short and long sleeve Tees with men\'s and ladies sizing are on sale now. Shirts are in limited supply and The Running Room is selling at the store on Rowan St. The Running Room will also be set up at Tely 10 Registration, Thursday � Saturday at ReMax Centre and Bannerman Park Finish Area on Sunday. The short sleeve shirts are priced at $21.99 with the long sleeve shirt at $26.99. All proceeds from the sale of these shirts help fund the programs of the Newfoundland and Labrador Amateur Athletics in schools and communities across the province.